Welcome, your Majesty! 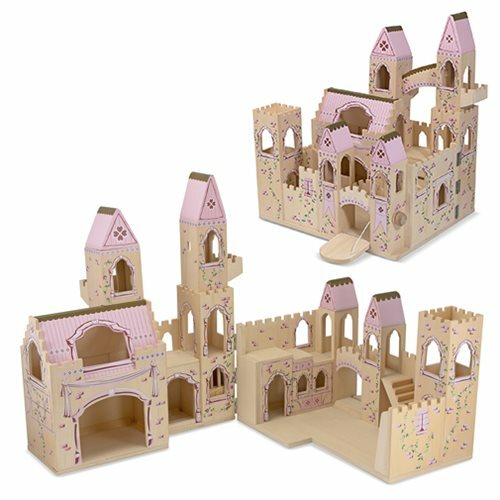 Decorated with regal accents, this wooden play castle is fully assembled and ready for royal play! Features two removable turrets, balconies and a flying buttress, an arched walkway, towers and a working drawbridge! Castle is hinged for easy wide-open, imaginative play and closes neatly for compact storage. Ages 3 and up.